Whenever I walk by a long line of people waiting in front of a restaurant for the privilege of eating overpriced eggs and soggy waffles on a Sunday morning, I snicker. 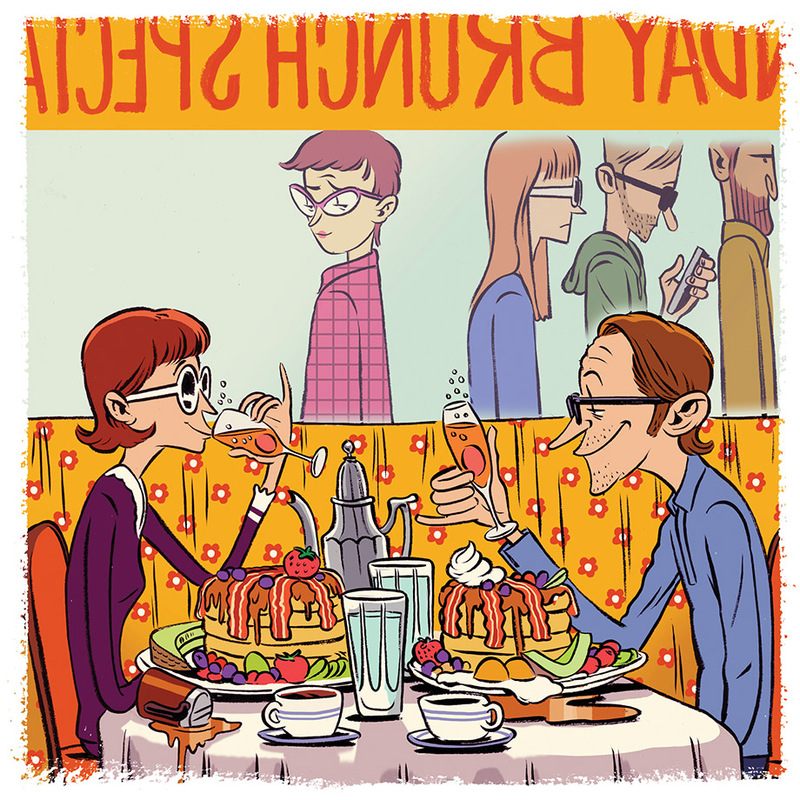 Brunch is a cult, really, a religion established by greedy restaurateurs who charge criminal prices for weak mimosas and mostly generic slop. The only people who hate brunch as much as I do are the bleary-eyed servers and cooks pressed into duty after their long Saturday night shifts. Once upon a time, brunch was a fairly elegant affair, with from-scratch eggs Benedict and proper Champagne. When he was at Watershed, Scott Peacock would serve impressive creations like ambrosia and creamy grits with shrimp paste. Today I’ll happily spend a Sunday morning at the General Muir, where Todd Ginsberg delivers a finessed brunch menu informed by his Jewish heritage (crispy latkes with smoked salmon, apples, and arugula). Otherwise, if I’m being forcibly dragged to a generic weekend destination, I’ll down a Highmosa (Miller High Life and orange juice) at home first. It helps take the edge off of the throngs of hungover customers and their piles of nasty scrambled food. 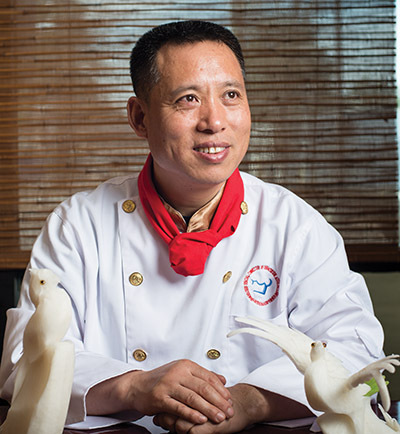 A few years ago, the city’s foodies became obsessed with Peter Chang, the peripatetic genius who put Tasty China in Marietta on the national map and now moves in and out of kitchens throughout the South. When Chang left in 2007, Ri Liu was brought in from China to replace him, arriving on a 0-1 visa given only to “individuals with extraordinary achievement.” Recently, Liu opened Masterpiece, a bare-bones eight-table operation on a lonely stretch of Buford Highway in Duluth. Atlantans, follow this man. In China, the gulf between a master chef and a stir-fry guy is as wide as that between a Michelin-star celebrity and a line cook. A native of Harbin in the Heilongjiang province in northeast China, Liu is a certified master chef who pulls from the spicy lexicon of Sichuan and Hunan cuisines. I’m crazy about his style, which feels subtle and fresh rather than violently seasoned. Cold dishes like thinly sliced tendons and beef spiked with red chili oil are as impressive as his mastery of ancient techniques for fermenting long beans. Liu’s cooked in Beijing’s Great Hall for state dignitaries. He’s authored three cookbooks. He’s also a master carver (ever seen a chef take a knife to a radish and turn it into a crane standing among the reeds?). It took a translator and a lot of teeth pulling to get Liu to tell me his story, but I’m glad he did. He more than deserves our business and respect. The new Lion Tamer Bread at the intersection of Clairmont and North Decatur roads near Emory offers just one thing, but it’s exquisite: European-style crusty sourdough, from a phenomenal formula (with some batches incorporating oat porridge or rye) developed by baker Brian Dulisse. I’m big on breakfast for dinner, and Steinbeck’s in Oakhurst does a fantastic “Chinese breakfast” with tender chunks of roasted pork belly, wilted fresh leeks, and one perfect sunny-side-up egg on a bed of jasmine rice. This article originally appeared in our May 2015 issue.